Practical for larger pools and public facilities. In large pools and public facilities, it is more practical to use a vacuum cleaner trolley. 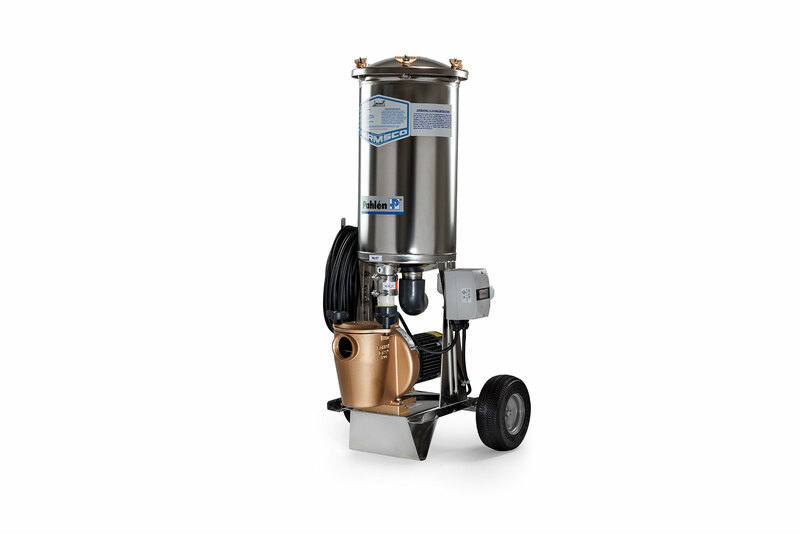 Stainless steel container with a filter cartridge, filter area 9.7 m 2, which gives the filter a long operating time. Pump 0.55 kW made of bronze, with high capacity (12 m3/h). Air evacuation from the suction hose is handled automatically by the pump. Supplied with 25 meters of cable and motor cut out for a singlephase electrical connection.